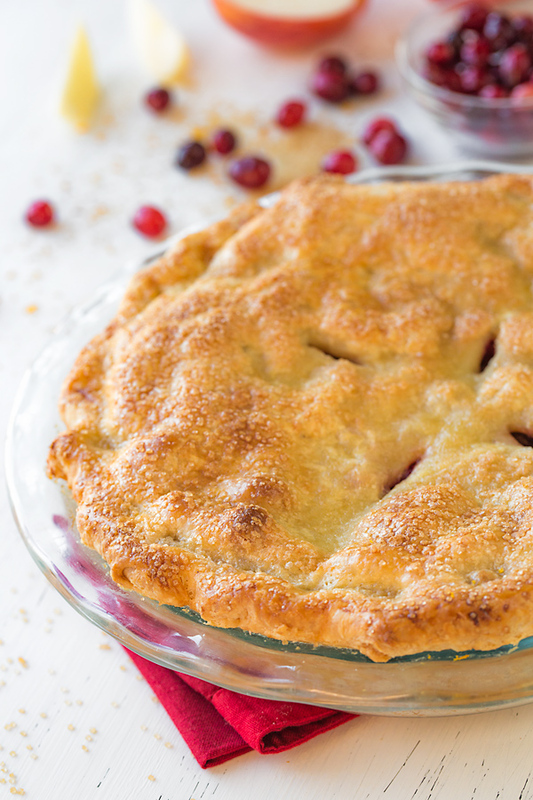 And so this holiday season, I wanted to share with you my personal favorite pie to make, hands down: this Christmasy Apple Cranberry Pie, deliciously sweet, tangy, and warmly spiced with a touch of cinnamon and a teeny hint of orange zest. 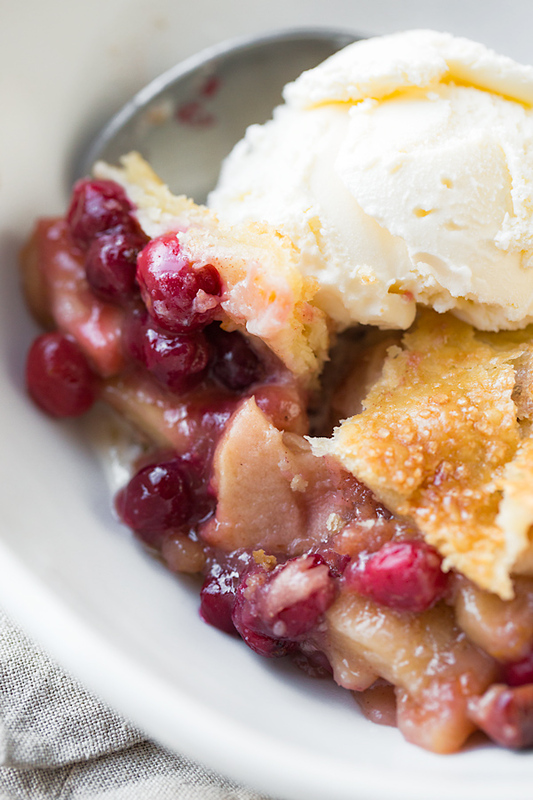 And with ruby-red cranberries and crisp, sweet apples being plentiful during these colder months, this is the perfect pie to share this season. What could be more beautiful, more rustic? 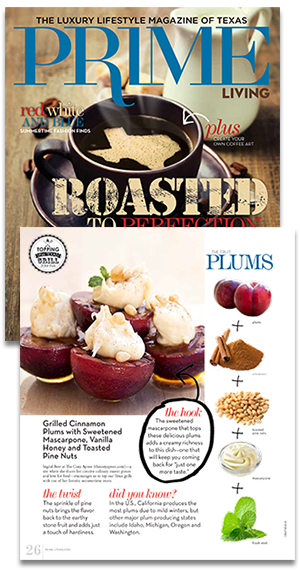 What could more sweetly and more flavorfully represent this festive time of year? While I consider myself someone who leans more towards “savory” cooking and recipe developing, my little secret is that I absolutely adore baking in my spare time. When I’m looking to have a relaxing experience in my kitchen whipping up something in my down time and “just for fun”, I actually tend to choose baking recipes to play around with, especially pie recipes such as classic apple, or even pumpkin, another favorite. I think I am enticed by the image of an end result of something sweet, homemade, fragrant, and (hopefully) beautiful that I will be able to partake in and share with my loved ones—something that inspires me to play in that way, and play with abandon. For me, the holidays are a time for conscious creativity—a time of purposeful play that yields comfort, joy, warmth, and the possibility of good memories being made, ones that involve sitting at the table with good food, good conversation, and some cheer. They are a time to turn on the oven, and to get out the flour, butter, sugar, spices and fresh seasonal fruits meant to be peeled and diced and sprinkled, and turn all of those glorious ingredients into a buttery, flaky, homemade pie; a pie whose aromas, while baking, waft throughout the home and tickle noses, tantalizing them with a hint of what’s to come. I can’t think of a better way to spend at least a small sliver of this holiday season than in my warm kitchen, rolling out pie dough and making a juicy filling, then baking off a lovely pie until golden-brown. And I can’t wait to gather around the table with those I love, chatting over slices of freshly-baked, flakey apple cranberry pie served with or without a scoop of creamy vanilla ice cream (whichever is most preferred in that moment, of course), and savoring every last bite. Prepare your dough ahead of time: You can prep your dough ahead of time, and either freeze it (if making well in advance), or keep it wrapped in plastic in the fridge; then, all you’ll need to do is simply prepare your filling, roll, and bake! 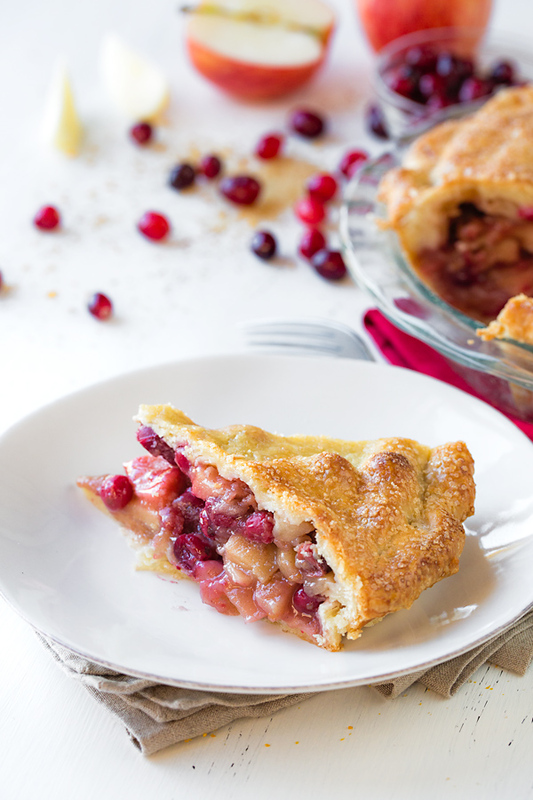 Gala apples, a great pick: I love Gala apples for this apple cranberry pie, because they are sweet, and have that strong “apple-y” flavor; they also have a firmer texture which keeps it shape when the pie bakes. 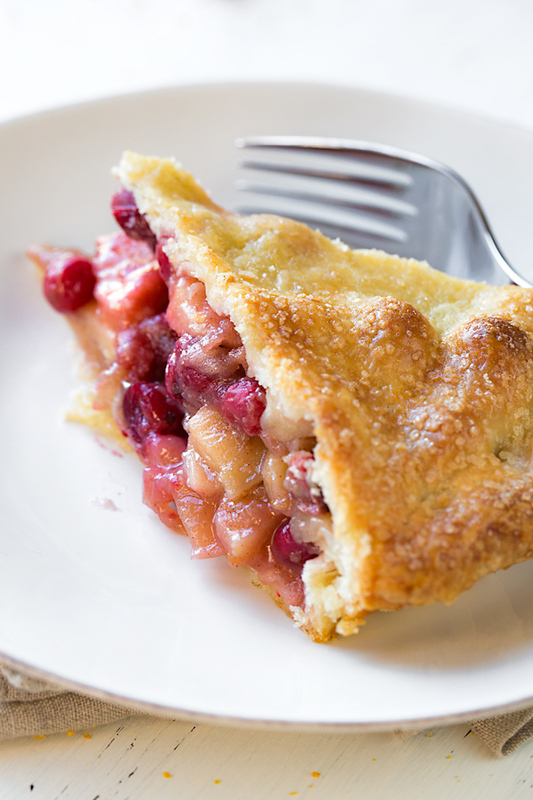 But you can substitute your favorite varietal, if you prefer—just know that something like Granny Smith may be too tart with the combination of cranberries, since those are already tart. 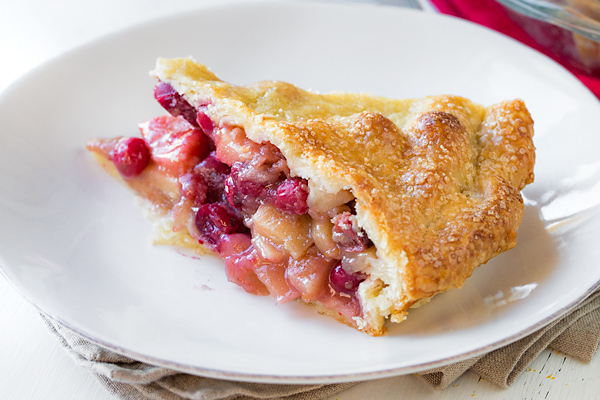 Bake your pie on a baking sheet: Line a baking sheet with foil and place it into the oven while it preheats; then, place your pie directly onto the baking sheet while it bakes, and it will catch any juices that may drip down. Allow the pie to completely cool, or even make it a day ahead: I typically like to bake my pies the day before I plan to serve them, as this gives plenty of time for them to cool, and for the juices to settle and firm up a bit as well. But if you bake it the day you plan to serve it, know that you should allow for at least a few hours of cooling before serving. 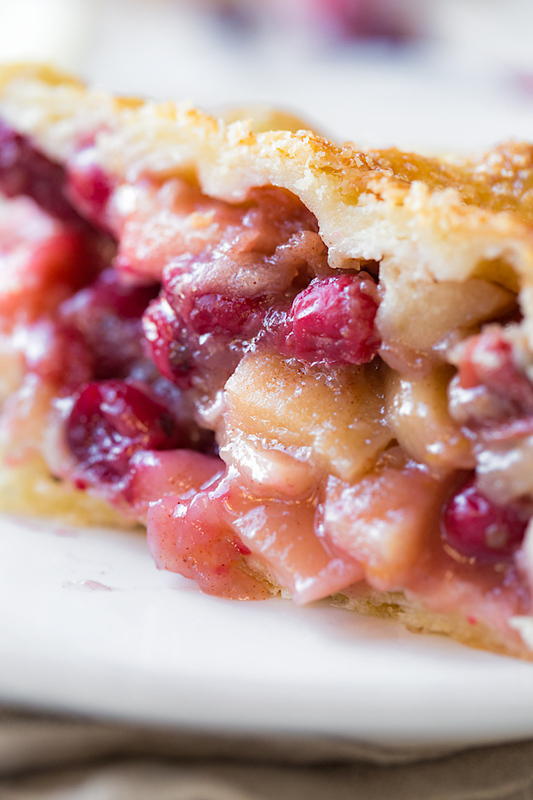 This sweet-tart, holiday-inspired apple cranberry pie is filled with juicy apples and ruby-red cranberries, and kissed with a hint of cinnamon and orange zest, making for a festive dessert offering during the holidays. -Prepare you dough by adding your flour and salt to the bowl of a food processor (link: Cuisinart Elemental 8 Cup Food Processor), and process to combine; add in the cold butter, and pulse until it becomes pea-size crumble; while pulsing the mixture, drizzle in the ice-cold water and the apple cider vinegar (you can also combine these together) until the dough comes together into a ball. -Turn the dough out, divide in half, and wrap each half in plastic wrap; place into fridge to chill for at least 45 minutes – 1 hour, or longer if doing ahead a day or two (can also be kept in freezer and then thawed in fridge if doing further in advance). -Once the dough has chilled, preheat your oven to 425°, and line a baking sheet with foil, and place it into the oven while it preheats; have a (preferably chilled) 9 – 9 ½” pie dish on hand, as well (I use glass). -Prepare your filling by tossing together all of the filling ingredients in a large bowl to coat well, and have it ready; roll out one of your dough disks to about 1/8” thickness, and place into your pie dish; add the filling in. -Roll out the other dough disk, and place over top, and cut the overhanging dough edges to leave about 1” of dough; press the edges together, then tuck those into the pie dish, and create a crimped edge for a decorative touch. -Brush the top and edges with the egg wash, make four slits in the top with a knife to allow steam to escape during baking, and sprinkle with the turbinado sugar; place onto the baking sheet in the oven, and bake at 425° for 20 minutes; then, turn down the temp to 350°, and bake for an additional 50 – 55 minutes (mine took 55 minutes), turning the pie half-way through the baking process and covering it loosely with foil to prevent it from browning too much, if necessary. -Allow the pie to cool completely for 4-5 hours (perhaps even more) before serving. Does the top crust get tucked under the bottom crust before crimping? Does the pie bake on the middle or bottom rack of the oven? Hi Christine, when I place the top crust over the filling, I first cut the excess overhang so both crusts are more “flush” with the dish; then, I press the two crusts together a little, and tuck them both, together, under so they’re now “inside” the dish. And then I proceed to crimp. Hopefully, that explains it & you can sort of picture it, lol! 😉 And as far as the rack, I leave it in the middle position. Drooling over here. This flavor combo is SO amazing- I don’t know why this isn’t a famous Holiday pie recipe already! 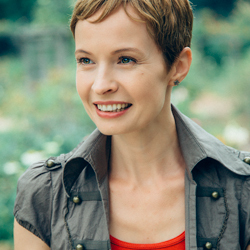 Hi, Ingrid– have you ever used frozen cranberries here? I have a bag of Ocean Sprays in the freezer left over from the holidays and wondered if they might work in this recipe. This pie is fantastic! The filling is a great combination of flavors and it’s so pretty, too. I took the pie to a dinner at a friend’s tonight, and everybody loved it! Definitely a keeper in my book!!! Ingrid, can you bake and then freeze this pie for use a couple of weeks later? Because I have not tried this with a homemade pie, I honestly don’t have a confident answer, unfortunately. If you do end up trying this, please let me know! Will do. I have ftozen mincemeat pies with no problem but the fillings are different, I realize! Thanks!